Last week on my social feed, I asked a pertinent question to all my friends. Now I am over 50, belonging to a generation that saw computers first in Star Wars or read about them in Arthur C Clarkes’ book, you can imagine that my friends belong to the same generation. Many actually do. But then I do work in an organization where everyone is under 35, they are people who have grown up digitally and find computers and smartphones as ubiquitous as hard-boiled candies on check-out counters. This was the question: Is all the technology making today’s generation isolated pods? Are they aloof and disconnected or they are actually crowded and connected? The conversation had the older friends of mine tilting to the side of believing that too much technology is bad for us. But then someone pointed that when books came into being, they were called work of the devil. The 60s generation called TV as the idiot box, the millennial calls it Smart TV. The 60s lot didn’t grow up dumb, despite the idiot box becoming the primary storyteller at home. We accept technology till we think we can use it, but resist when it tends to overwhelm us. The millennial or by whatever name you may want to call them, adopt and adapt to technology faster than those born in the 60s or 70s. While one gapes at technology wondering, the others quietly put it to use to find little moments of joy. This is the reality: the rise of smartphones has led to rise in global tourism. May be the whole conversation around curated ego needs to be looked at with radically different parameters. Because, the new IBM global campaign made me think hard about how the technology brands are merging the human potential with AI, machine learning, and big data. The new campaign of IBM evolves from solutions for the planet to the power in hands of humans to make things happen. What this campaign does is that makes IBMs AI platform Watson, integrated with the impact it has on people. 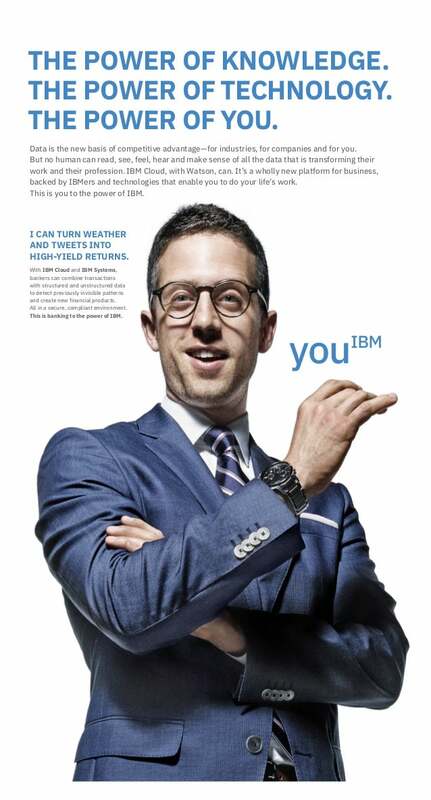 IBM has played this cleverly. The executions are driven from personal empathy, you look at the ads and marvel at the power that is now in hands of individuals. They have made the technology step back, almost invisible. This is the campaign that made me ask the question, is too much technology good for humans? At least IBM’s answer is clear. IBM is not the first computing brand to celebrate the power of individuals. In a small manner, Dell did it earlier, but Dell’s primary focus was on employees who make Dell powerful. How will many more brands look at this emerging dynamic? We in advertising still live in a strange bubble. Many of the appeals we create work only for us in adverting. Like the brand that was shooting star this week thanks to a condom that has pickle as flavour. Or a washing machine that claims to be “Unisex”. I guess for us in advertising and marketing, there won’t be many times when we will see brands celebrating the ability of humans to make things happen by using technology and make things happen because of pickles and gender.